John, you have been a strong supporter of Stella’s Place from the onset. What motivated you to become involved? As parents of a (now adult) son who has and still is navigating some significant mental health and addiction challenges, discovering Stella’s Place, with its positive and holistic wellness approach, was a breath of fresh air…. for us and him. The many days of helplessness, quiet desperation, dead-ends and set-backs is exhausting and frustrating, as only parents such as ourselves would know. However, the fundamental belief in empowering young adults to take charge of their own recovery and de-stigmatizing mental health has been inspiring and lasting. Getting involved was a no-brainer. Since 2014, you have been making monthly donations. Are there specific reasons why you decided to sign up as a monthly donor? People often fail to appreciate that charities are businesses too and cash flow is critical. It is easy to get episodic donation splurges in certain seasons, and these are necessary and great, however the expenses (salaries, overhead, etc.) to run Stella’s Place happen every day, week and month. As a business person I know cash flow is vital to keeping the core services and programs alive for young adults. It also provides a reliable platform for planning and longer-term projects and ultimately growth. Over the last four years, your ongoing monthly support has added up and helped create significant impact. Is there any project/accomplishment of Stella’s Place you are aware of that you are particularly proud of? The programs/services I have been most aware of and that I am proud of include the walk-in café, the online chat application (BeanBagChat) and in particular the outreach Peer Support Training Program in collaboration with the City of Toronto in high need areas. Stella’s Place is looking for more donors like you to make our operations more sustainable and our impact more predictable. We are launching a Monthly Giving Program that will support our core clinical work which includes Walk-in Counselling as well as our highly effective Dialectical Behaviour Therapy and Skills for Safer Living interventions. These are critical, life-saving programs that we need to offer continuously and reliably to the young adults who are coming to us for help. 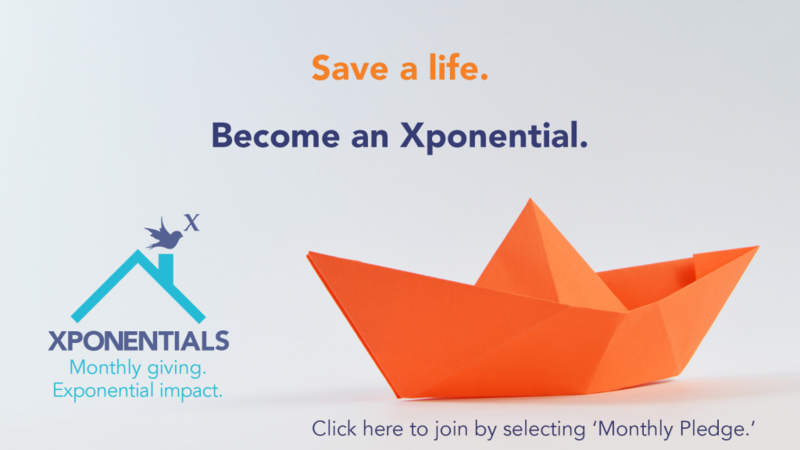 We are calling this newly formed group of monthly givers our “Xponentials” to highlight both the growth and impact they are creating for Stella’s Place and the young adults we serve. You are already a monthly donor, John, but we’d like to invite you and Deb to officially join this group as inaugural members. “Xponentials” is an interesting and appealing handle with the implications of having a dramatic impact. We are more than happy to add our names to the cause. While our monthly donation is not huge if there are others who can provide regular financial support, the collective impact would be significant. To those who might be considering joining this group, would you say that signing up as a monthly donor was easy? It was easy to sign up with a credit card on the website. The convenience of having it simply deducted from our monthly statements has meant we didn’t have to think about it every month. We budget for charitable donations anyway so we simply took the annual amount we would donate to Stella’s Place and divided it by 12 so it could be reliable cash flow. We get an annual tax receipt at the end of the year in time for filing and we have even been notified by Stella’s Place if the expiry date on our credit card is about to change. The credit card we use also collects affinity points. All in all it is a win-win and hassle-free process. We also get fewer asks for donations and more updates instead. You mentioned that regular updates on Stella’s Place’s activities are important to you. In addition to our regular e-news, we are considering updating our Xponentials at least once a year on outcomes specifically related to the monthly giving program. Do you think this is a good idea? Naturally, our monthly donors will be invited to our annual donor recognition event. As a long-time (exponential) donor, do you have any suggestions as to how we can better recognize the significant contributions of this group? We don’t give to get noticed. We give to support the important work Stella’s Place is doing. We are fortunate to have the resources where we can give a percentage of our money annually to others including Stella’s Place. We appreciated being invited to and then attending the recent donor recognition event and in particular to hear some moving personal stories of personal transformation from those who have been impacted by Stella’s Place. What resonated with me at the last donor recognition event was the personal story your recent Peer Support Training Graduate, Tarek, told and how Stella’s Place impacted him. That’s why we are giving: to save lives; to give people the opportunity to become healthy functioning productive adults. Stella’s Place is a very big reason why our son (now past the intake age of 16-29 years) has been inspired to and is now completing his Social Service Worker (SSW) degree at George Brown College. His lived experience from desperation to recovering along with now his DBT, Peer Support Training and now his SSW education will equip him to have a significant impact on others he will serve. 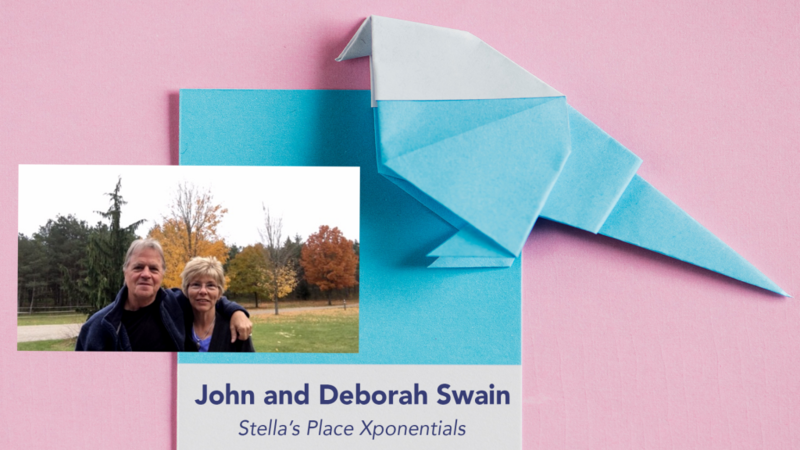 Thank you for your thoughtful response, John, and for your and Deb’s steadfast commitment to Stella’s Place and monthly giving. Welcome on board as our first Xponentials!